The YEA! Decatur weekend kicks off each year with a whirlwind tour of the elementary schools in Decatur. 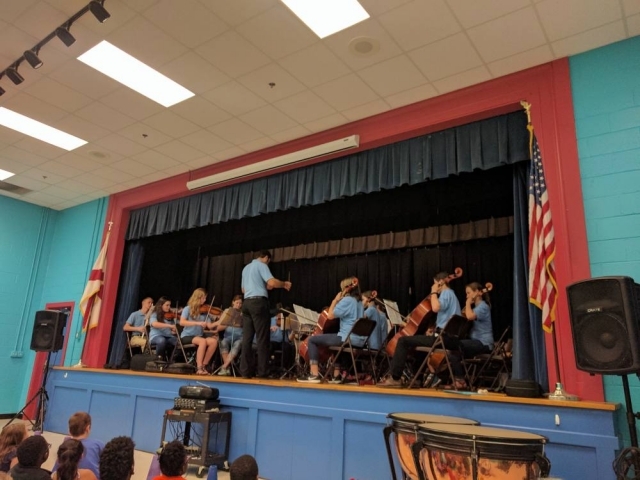 The Decatur Youth Symphony ensemble performs a selection from the full concert at each school, visiting several schools in one day.